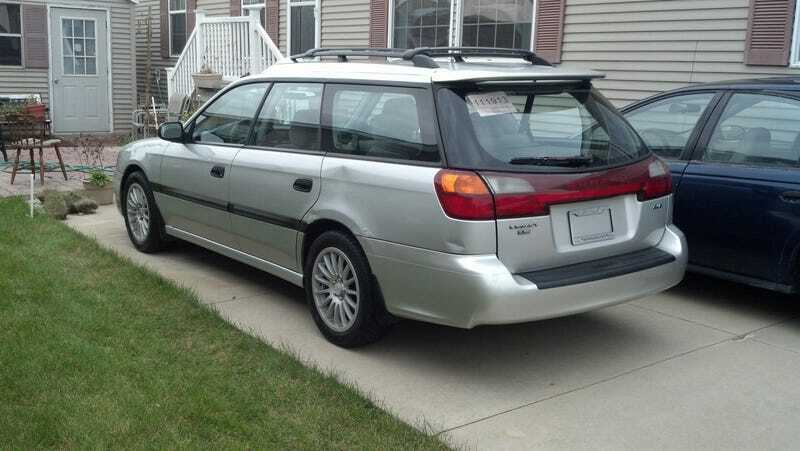 Just bought a Subaru Legacy wagon with a manual trans. Can I haz Upgraded Jalop card now plox? It's nothing remarkable; has some rust in the usual places, and it's an "L" so it's "just the basics" but I love how it drives. It replaced my pitiful Saturn SW1, and complements the Foz S we bought this past Spring. I'm a happy man today! Also... amazing how a row-your-own makes the EJ251 come alive. The driveline feel of the equal torque split versus the variable split of the autobox is much preferred, too. It feels so much better than the Forester with it's respectable-but-still-slushy 4EAT, despite the Legacy wagon being fully 200lbs heavier than a Foz. It reminded me of the '04 STi I test drove a few years back, but obviously less boost-y. I look forward to the quasi-distant future, when I acquire my manual turbo Leggy GT wagon, and qualify for a Full and Complete Jalop Card.